A fire at a home in Broadway Heights killed a dog and displaced two people early Saturday. 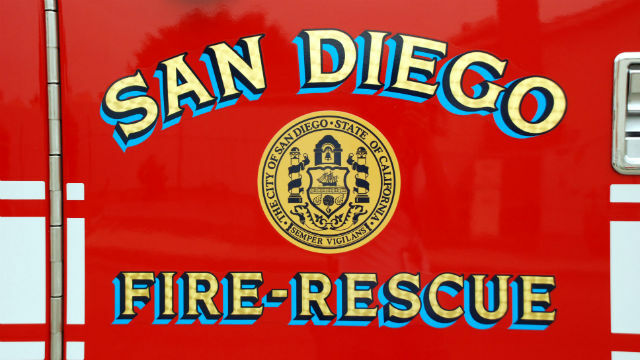 It was first reported at 2:15 a.m. on Laconia Street near Pilot Way, and the first crew was at the scene within four minutes, according to San Diego Fire-Rescue spokeswoman Monica Munoz. Firefighters saw heavy smoke and flames upon arrival, Munoz said. No one was in the home at the time. Crews had the fire out within 25 minutes. One dog died, despite resuscitation efforts by firefighters, Munoz said. The animal was a service dog, a resident of the home, Denise Giusti- Bradford, told NBC San Diego. She had just left to pick up her son from a train station, and returned to find her house in flames, she told the news station. Metro Arson Strike Team investigators were called — standard response for a structure fire with extensive damage, Munoz said, and the cause was determined to be accidental. Two adults were displaced by the fire but declined help from the Red Cross, Munoz said. The fire was estimated to have caused $200,000 in damage to the home and $100,000 in damage to its contents.